We're apparently getting a repeat winner this coming Rumble. Who could it be? As we march forward to the end of the calendar year, the gossip is coming hot and heavy in the wrestling world. We're now getting to the point where we're hearing serious rumor and innuendo about WWE's most important season that stretches from the Royal Rumble to WrestleMania. 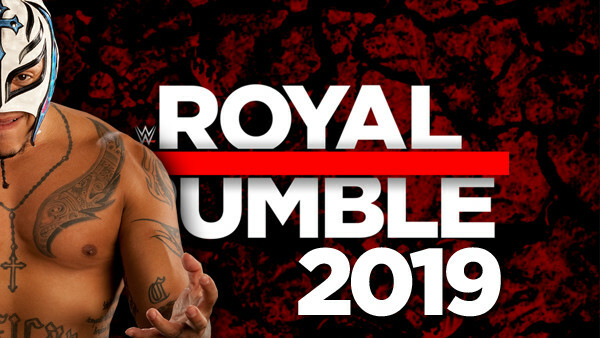 This past week, WrestleVotes, a usually reliable insider, hinted that WWE was planning to have the winner of the 2019 Men's Rumble match to be a "repeat winner." So immediately, this dashed the hopes of anyone hoping Daniel Bryan would finally win one of these darn matches. Oh well. Of the past Rumble winners who aren't dead, retired, or massive bell-ends that there's no way in hell people would stand their presence (looking at you, Alberto), there are plenty of options when it comes to a repeat winner. That said, some of these options are so unrealistic, we'll table them right here. Brock Lesnar will probably be too busy prepping for UFC in early 2019, and Sheamus is a midcard tag wrestler at this point. Other than that, though, there's plenty of past Royal Rumble winners who could win the match next year and main-event WrestleMania (or go on in the midcard if they're challenging for the WWE title).